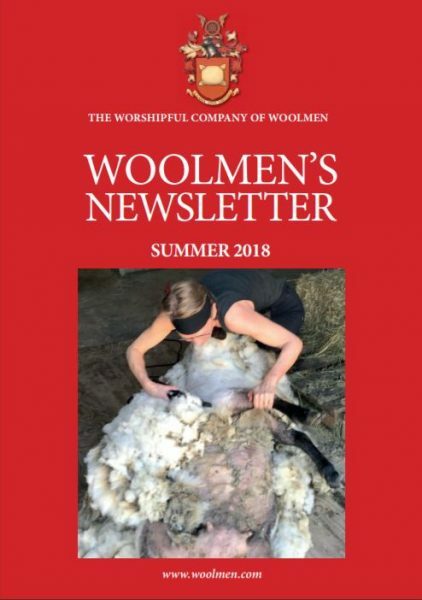 The 2018 annual Worshipful Company of Woolmen and the Company of the Merchants of the Staple of England Wool Innovation Prize has been awarded to Caroline Hodgson for a highly innovative approach to woven wool materials in the built environment. 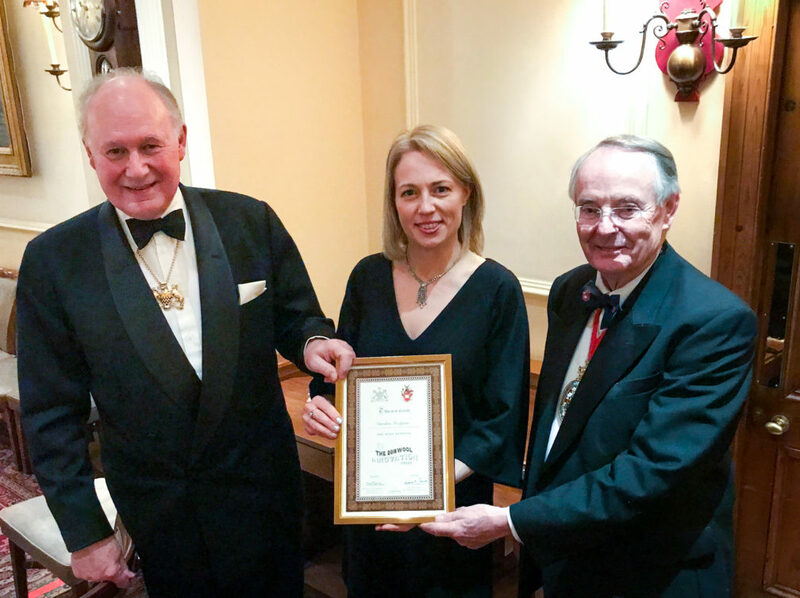 The Master together with other Woolmen and the Clerk attended the Merchants of the Staple Advent Feast at Watermen’s Hall on 29th November where Caroline Hodgson was presented with her certificate. Caroline’s collection of thermoformable materials created using predominantly British wool, was praised by the judging panel for a very skilful combination of textile technology and interior design. Presented as wall panels and installations, the materials help to support health and wellbeing. Caroline Hodgson is currently studying for her Master’s Degree in the School of Art, Design and Architecture at the University of Huddersfield following an early career in fashion and home furnishings. Accepting the award Caroline said, “This prestigious prize will allow me to develop the work I have begun using British Wools in the built environment and to bring my skills in colour and design to an area of great potential growth for wool“.